If you’re remodeling, you may need to demolish portions of your residence depending on the changes. While remodeling can add a new level of value and comfort to your home, there are steps you should take before breaking out the sledgehammer. Here are some factors you may want to consider before you begin your residential demolition. First, you want to get an estimate. Ideally, you should have several different companies provide you an estimate so you can compare prices and services, such as preparation and cleanup. From there you can determine what company is the best fit for you. Once you’ve found the residential demolition company for the job, review a timeline with them, including an estimated finish date. Professionals should be able to give you an idea of how work on your home will progress, which should allow you to plan accordingly. This is especially important when you’re renovating so you can plan and coordinate for new construction. Now that you’ve established a timeline, it’s time to prepare for the demolition. 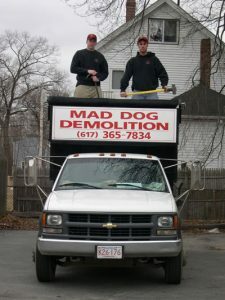 It’s your responsibility to remove any property or personal belongings from the demolition area before the work begins. Otherwise you risk damage to any furniture or other items you leave behind, and it’s likely that you won’t be able to enter the area once the crew starts demolition. To ensure you move everything you need to, do so well in advance. If you’re scrambling at the last minute, you’re more likely to forget or leave something behind. Residential demolition requires a bit of planning and research, but you’ll be glad you put in the effort once you see the results of your renovation. A well-planned demolition means less stress, and researching estimates can mean more money in your pocket. If you take the time to prepare, your demolition experience can pave the way for the home of your dreams.